Before we get into the detail, here are three guiding principles to keep sight of throughout the process. Review your WHOLE account, not just vanity metrics. Having good metrics is great, but if you’re ignoring performance notifications, you’ll miss potential threats to account health. With your own account review you want to give yourself a thorough risk assessment. Try to analyze everything you see from the Seller Performance team’s perspective. You need to identify useful, preemptive actions that you can take right now to protect your account. In Amazon’s current enforcement climate, you can’t take half-completed actions or let notifications fester without research and response. That equals an increase in risk that few can afford. Make reviewing your account a standard operating procedure (SOP). Put it in your schedule as a recurring task, document the process to follow, and use tools like checklists to make sure it’s done completely and correctly each time. 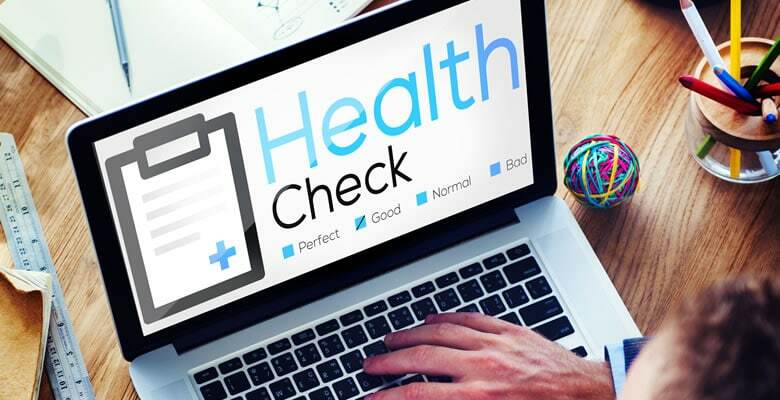 Start your health check with a review of product quality, which will naturally lead into a comprehensive review of your business operations. What caused any ASIN-level listing suspensions in the past? Were appropriate steps taken to assess those problems? What could cause product quality complaints in the future? Are your listings accurate, or could buyers misunderstand what they are getting? Are you using variations correctly? Check your content for misleading details that lead to buyers reporting receipt of “not as advertised” items. Make sure you have supply chain documentation that Amazon considers acceptable. To cover for any potential complaints about authenticity, it’s best to have letters from your suppliers, too. You never know when Amazon may ask for invoices, even for your own private label products. Make sure that anyone who touches your Amazon account knows what they’re doing. There are many policies to learn when you’re managing an Amazon account. Have proper training in place, and policies listed at individual workstations and on staff member desks if necessary. Otherwise, you risk making mistakes that get you suspended, and in my experience, many of those could have been avoided with an SOP which ensures employees get it right the first time. Reply to those buyer messages quickly! You may have taken the weekend off, but missing a message and replying later than the 24-hour mark means missing metrics targets. Also, the longer the buyer has to wait for your assistance, the more likely they are to complain to Amazon. That means you’ve increased the chance a negative buyer experience that turns into a performance notification and a suspended ASIN. You want to prevent unresolved notifications from piling up at all costs. Are the items you sell likely to be damaged on their way to buyers? Whether you’re using FBM or FBA, you must make sure the kinds of products you sell are well protected by the packaging you use. If you’re getting high rates of return for “damaged in transit” or “defective” items then you need to think seriously about an upgrade. It’s more expensive now, but worth it later if it means you won’t be receiving these buyer complaints. Simply put, how good are your suppliers? If you’re doing private label, do they manufacture quality products for you? Do your random pulls from sample batches uncover problems? If you’re seeing signs of defects, so will your buyers. If you’re reselling, you need to know your suppliers are authorized distributors. Or, at the very least, they are established suppliers of the brands you buy. If they only occupy a middleman role in a long line of middlemen, and the products change hands many times then your supply chain documentation will likely not satisfy Amazon’s investigators. Get authenticity letters wherever possible on their company letterhead, and spend crucial time going over the type of invoices they’re going to give you. If they won’t pass the Product Quality team’s muster, then ask them to change their invoices or find another supplier. Now move onto a detailed analysis of long-term and short-term metrics including order defect rate (ODR), A-to-z claims and chargebacks. Look inside every metric for signs of unhappy buyers. Does your feedback show buyer complaints about quality or condition? Is your ODR high, or are you prone to cancelling orders? Catch problems as early as possible, and if you can, limit the damage before metrics fall short. If you can’t do that, then prepare a POA in advance for when Amazon comes to you with a warning, or worse, a suspension threat. They may ask for a solid POA of what you’re doing to prevent bad feedback, claims, cancelled orders or late shipments whenever your metrics drop below acceptable ranges. Be ready with identified causes and proactive means of fixing them. By reviewing your account and preparing for foreseeable problems, you can prevent disorganized scrambling and a weak response later on. Checking out why buyers return items is a great place to begin. By doing this you can detect and go deep into any chronic issues. Analyzing returns can highlight problems in all areas: product quality, accuracy of listing content, condition grading, inventory, shipping, pricing and so on. Start by downloading the FBA Customer Returns report (under Reports → Fulfillment). This provides all the data on returns, including the reasons why buyers wanted to return your products. It’s an excellent source of intel on what’s going right or wrong. Look for high return rates by ASIN, and any other patterns among the returns. Are buyers of a particular product citing the same kinds of damage in shipping? Maybe you need to add more protective padding. Do buyers think your items are not genuine? There may be major differences between the listing you connect to and the items you’re selling. In their notifications, Amazon often flags certain ASINs that had a high level of complaints, returns and distinctive patterns of bad buyer experience. Conduct a no-nonsense review across these ASINS to detect the root causes before coming up with the best possible solutions. Do you need to deactivate the listing temporarily in order to pinpoint why so many buyers want to go back on their orders with you? Whether they don’t like the quality of the items or they think they ordered something new but received a product that looks a bit less than “New,” you’ll want to identify anything worthy of a buyer complaint. Dig deeply and take a cold hard look at why people dislike what they received. Again, if there are any significant patterns present in their complaints, you know you have a problem. Don’t ignore it, and don’t blindly keep ordering and reordering while you skip replying to notifications like this. If you receive so-called “soft block” listing notifications, don’t ignore those either! Those give you precious clues to follow. Amazon may allow you to relist an ASIN yourself, while showing you a handful of complaints that indicate buyer remorse or basic mistakes in their reading of the detail page. But look closely for anything YOU can do to reduce any buyer misunderstandings in the future. You may spare yourself a full ASIN suspension later on if you take those soft blocked listings seriously now. What are the trends in your feedback? Are there overall problems, or are specific ASINs attracting negative feedback? How can you address these issues proactively to prevent suspension? Is there feedback indicating that customers received different products than those they expected? Draw up action items that you can implement to reduce these types of complaints. Once executed, these will decrease the chances of a manual account investigation, future negative feedback, and suspensions. In recent months, many seller groups and forums have seen a huge spike in complaints about hijacked listings, fake product reviews, and fake product quality complaints. We expect this to continue and expand in 2019, until Amazon moves to prevent the worst kinds of abuse. So for now, what’s your plan to counter seller sabotage? If you’re a private label owner, you need to know the risks of not trademarking your products. If you have registered the trademark already, you’ll need to know how to enforce it via Brand Registry. Failing that, you may need to discuss your legal options with a reliable attorney. If you don’t know one you can depend on, I can refer. For resellers, you need to watch listings you’re on like a hawk, to see if any details change. If you need to deactivate your offer temporarily until malicious listing changes can be corrected, then so be it. Don’t leave them up and expect another seller to take care of it. It doesn’t often work that way. What about fake product reviews? At almost any moment, you could suddenly see multiple new negative reviews pop up out of nowhere. Worse still, you may see a large group of positive reviews arise that a competitor engineered to make it look like you are submitting fake reviews yourself. We often hear that Product Review Abuse teams are suspending sellers for bad behavior, but can they tell the difference between you juicing your own reviews and a black hat competitor making it look like that’s what you did? You need to know how to get fake reviews deleted. If they’re within the past 90 days, it’s possible. There’s also Marketplace Abuse teams, handling all non-reviews related abuse. Get to know these teams, how they work, who works on them and how to get in touch with their queues. Since many sellers complain that they have taken these steps but they absolutely never heard back (nor saw any signs of results), also find out how to escalate those stuck cases to managers. How do you show Amazon you’re being proactive? Did Amazon take away your ability to list one of your top selling ASINs? Build a proper Plan of Action that follows the right format. It shouldn’t be longer than a page to a page and a half, and should address all root causes behind the operational deficiencies that led to the complaints. They need to know that YOU know which products attract the ire of your buyers, and why. Once you clearly identify those causes, it’s time to present a list of improvements. Make them direct and concise, and relevant to future complaint prevention. A series of bullets written to convince the biggest skeptic can reinstate your listing on one appeal, with one POA. Even if you don’t plan to sell an ASIN again, you should respond to the Product Quality team notifications that suspended your listing. It may not seem important now if you have no inventory left anyway, but it’ll definitely matter later if investigators look back and see unresolved notifications. If you show Amazon silence, they interpret that as inaction and a failure to solve problems created by bad buyer experiences with your products. That isn’t the path you want to take to protect your account from a future suspension. Tell investigators that you’ve located each root cause with the problem product, and you’ve opted not to sell it again. Show Removal Order numbers from FBA as needed. It shows you are paying attention. Getting stuck? If Amazon won’t give you the ASIN back but it’s clear that you’ve submitted a viable, comprehensive POA, don’t give up. Figure out what is missing from the POA, and add it in. Too much info? Rewrite it to a one-page format with bullets and numbered points. Remove anything that takes up space and fails to move your argument forward. Still getting nowhere? If there’s no indication that Amazon investigators were willing to read your revised POA, don’t get angry at the canned messages they send you over and over. Craft a new email to send to escalation queues, demanding another shot. Stay sharp and on message; don’t let emotion get the best of you. You need to present a compelling case for your appeal. A solidly composed email to Amazon can make the difference between a ruined seller account and one that you’ve fully protected from future damage. ecommerceChris has the world’s first membership program teaching Amazon Sellers how to navigate policy and communicate effectively with Amazon. This post was by Chris McCabe, owner and founder of ecommerceChris, LLC, an Amazon seller account consultancy. Chris was formerly an Investigation Specialist for Amazon’s Seller Performance team.